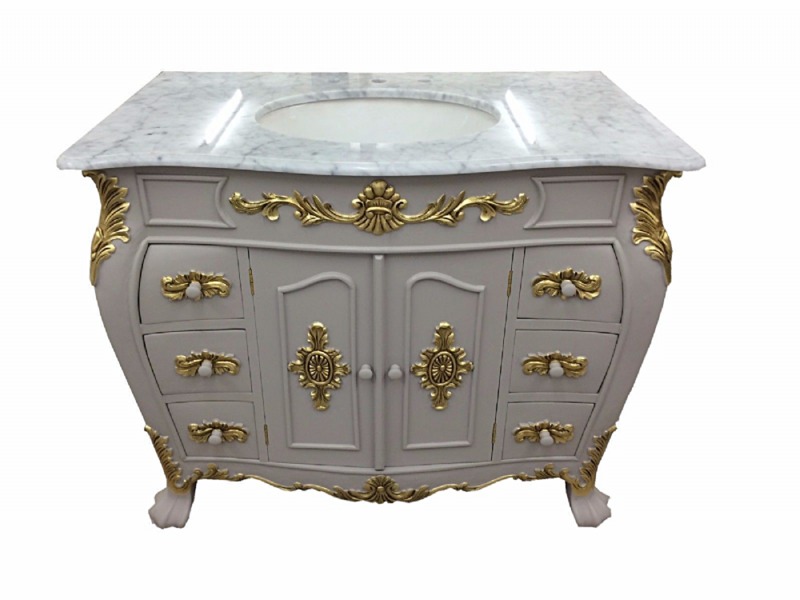 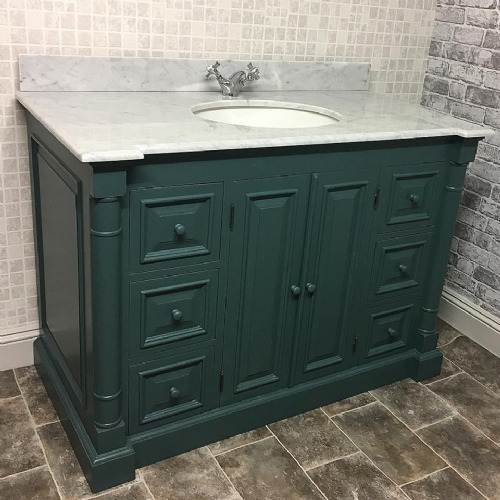 Our Bespoke Small Louis Double Size French Vanity Unit with a single bowl can be painted to the colour of your choice as all painting is completed by hand in the UK. 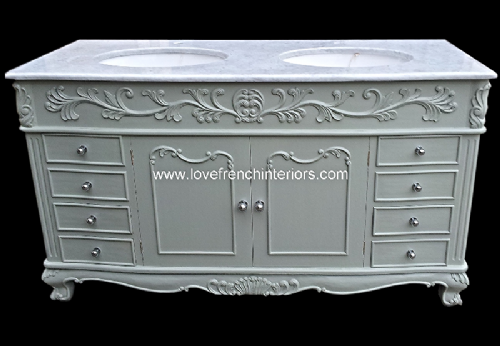 With elegant carvings to the front and sides, it has drawers offering extra storage space either side of the central cupboard. 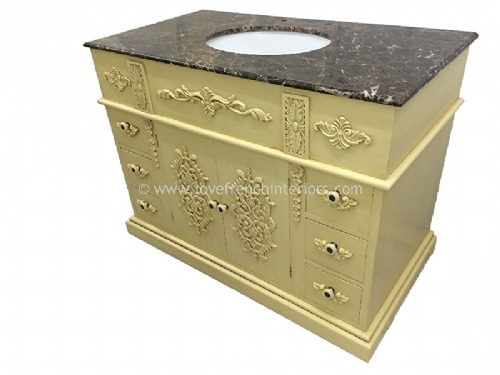 This is the smaller 100cm wide version of our standard model which is 120cm wide and is shown here in white with gold highlights and also in plain white in the paint shop having just been completed. 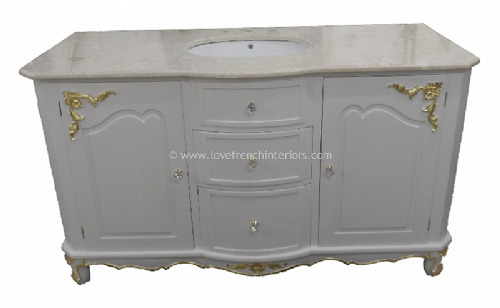 These are just two examples as our vanities can be finished in the colour(s) of your choice.